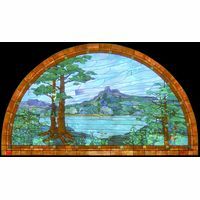 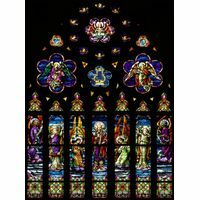 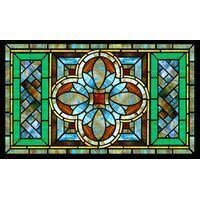 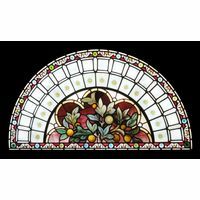 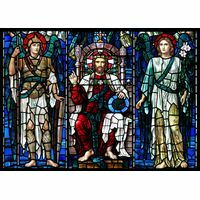 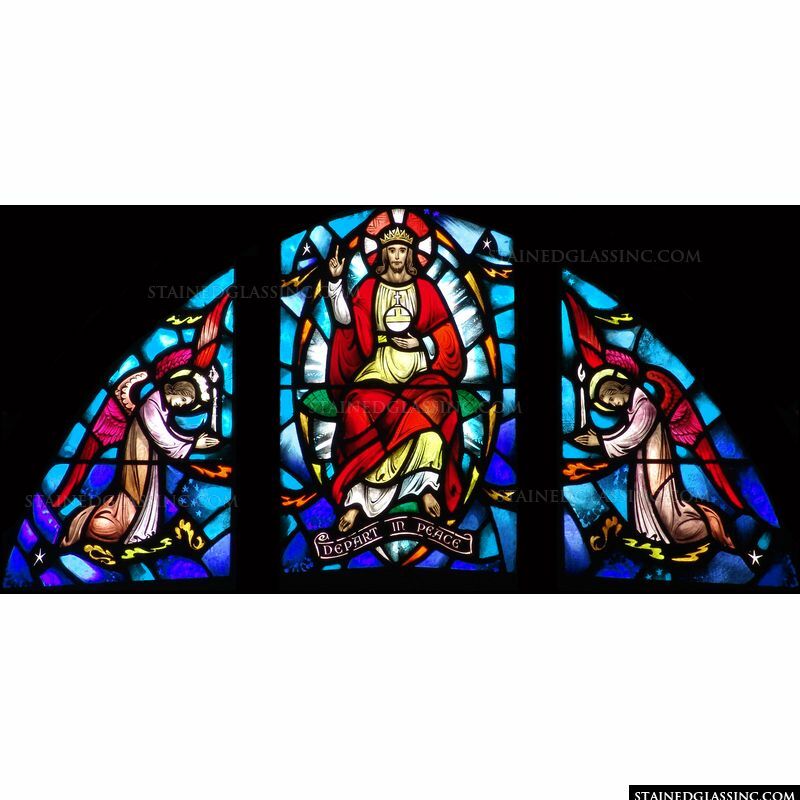 Breathtaking beauty, exquisite detail and flawless imagery are hallmarks of Stained Glass, Inc. works of art, and this transom style window is a classic example of the finest in stained glass windows. 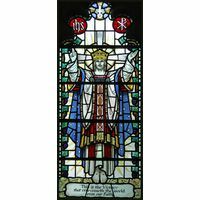 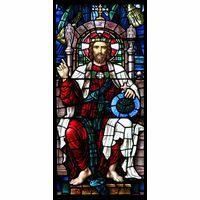 Christ on his Heavenly throne, worshiped by angels, His hand lifted in blessing. 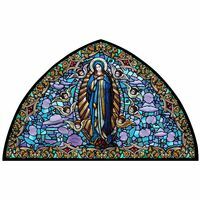 Text beautifully embedded within the stained glass contains the message "Depart In Peace", making this lovely stained glass window perfect as a transom window over the door to an exit. 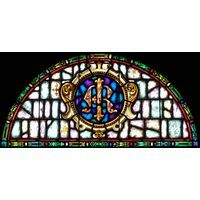 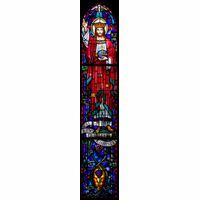 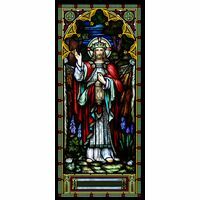 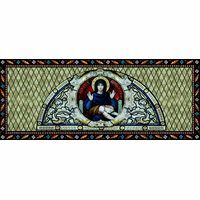 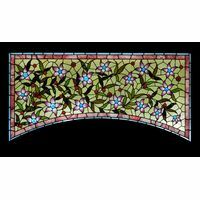 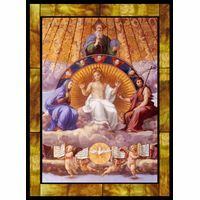 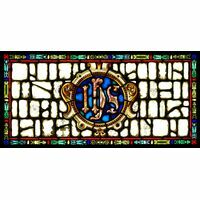 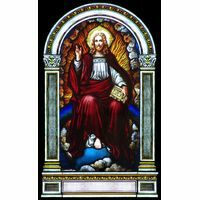 A lovely accent for church, chapel or home decor, this stained glass panel is a true treasure.